For Singaporeans, South America is such a foreign and far away place. In 4 months of travelling around the South American region, I did not run into another Singaporean person. Asians in general are few and far between, but a Singaporean in South America seems extra elusive. 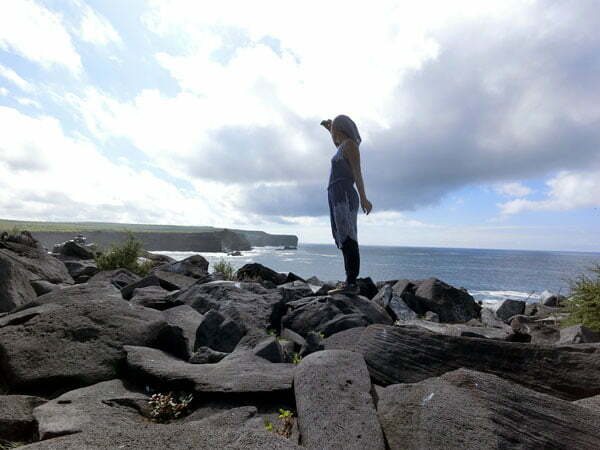 I found plenty of rare boobies in Galapagos but no sight of Singaporeans anywhere! One unique thing about travelling this region is that a good percentage of Central and South American countries uses one language for communication – Spanish. Unlike Europe or Southeast Asia where each country has its own unique language and dialect, being able to speak conversational Spanish will get you very far in communicating around South America, and in fact the entire Latin American region. How fluent in Spanish do you have to be to get around South America? Lo siento, hablo un poco español! 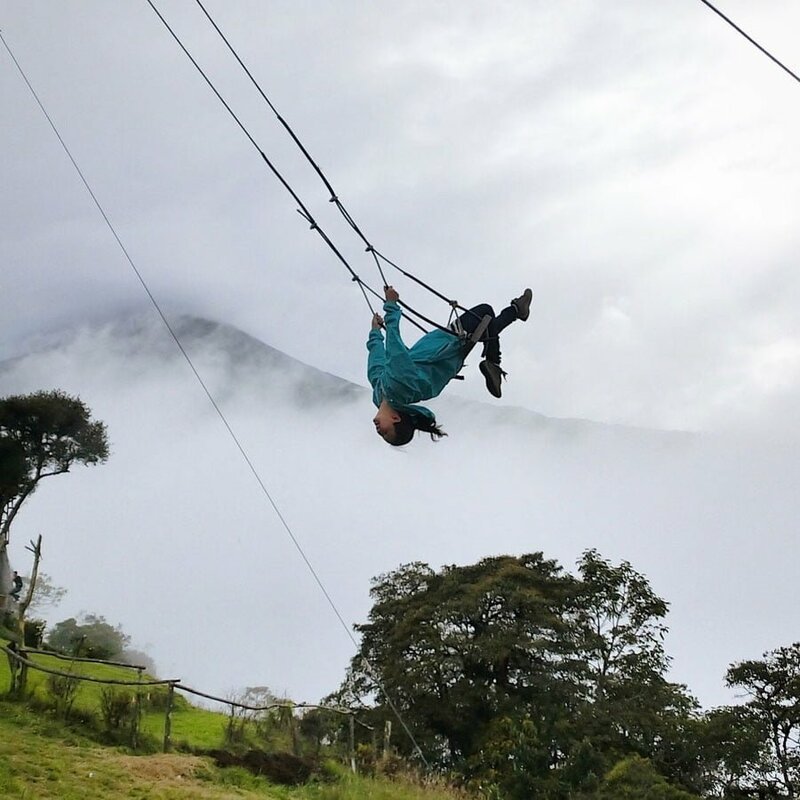 You don’t have to be super fluent in Spanish – I was anything but fluent when I first landed in Bogota, Colombia. I had done some basic prep using Memrise and Duolingo intermittently in the months to pick up some Spanish vocabulary before I ended up in South America, and even those scant basics proved to be quite helpful. Two months into my journey and I can say that I’ve picked up enough Spanish to get around on my own fairly confidently and make myself understood in basic situations like ordering food in a restaurant, getting on a collectivo bus or telling people where I am from. I’m still not conversational in that I could chit chat comfortably with a taxi driver for a long journey, but it’s gotten to the point where if the Spanish speaker speaks a little more slowly, I can recognize key words and get the gist of some conversations. English is usually the most common travel language, but there aren’t a lot of people who speak it well. One common thing many travellers who are spending a fair amount of time in South America do is to take Spanish lessons at the start of their travels so they can communicate more easily in their time here. Many cities and the popular tourist destinations offer Spanish lessons, both group and private sessions depending on your preference and budget. In Colombia and Ecuador, Medellin, Cartagena, Quito and Montanita seemed to be popular options for travellers who wanted to learn Spanish. 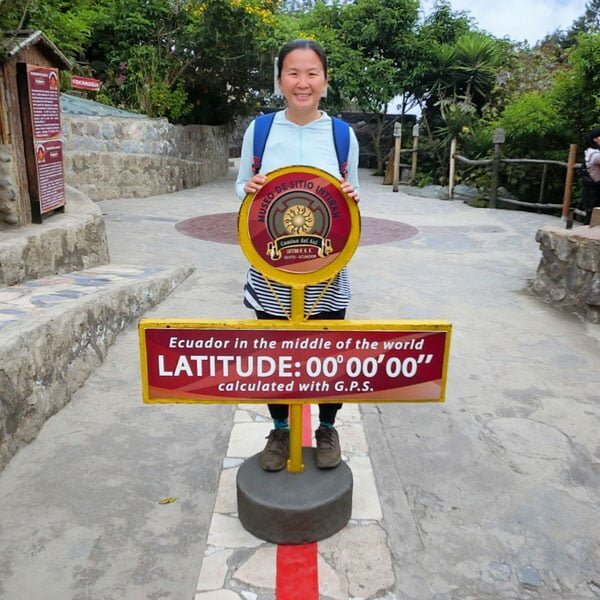 Ecuador’s capital Quito is a popular spot for Spanish lessons but for the geography and science enthusiasts who love seeing the wonders of nature, make sure you check out the equator line here! My initial thought was that I wanted to spend more time exploring than staying in one place, so I nixed the idea of Spanish lessons because that seemed a little time consuming. But when the opportunity came up with Habla Ya Spanish School to do a work exchange in return for lessons and accommodation, I decided I couldn’t miss this opportunity and made plans to take a detour to Panama for a month to learn some Spanish for myself. At that point, I had 2 months left in the region and was hoping to reach a level where i can be a little more conversant beyond 2 sentences, and I definitely want to come back to this region in future so I also needed to find a way to stay current when I went back to Singapore. I speak English as my native language and fairly fluent Chinese, and while being bilingual has always been something awesome about the Singaporean schooling system, I’m hoping to become even more multilingual, or at least conversational in many more languages which is always useful as a traveller. It’s partly inspired by all these Europeans I’ve met backpacking around that region- the close proximity of all these countries and languages makes many of these travellers very multilingual which I’m quite envious of! Well this is Ecuador Banos and not Panama, but it was here that plans firmed up for my visit to Panama even if it meant a little backtracking and flipping my plans around! My detour to Panama is a little unexpected – it’s not a country that was originally on my plan to visit as I wanted to do South America and make my way down the western coast mostly, but I’ve heard some amazing things about Panama so I am excited about spending a month there. 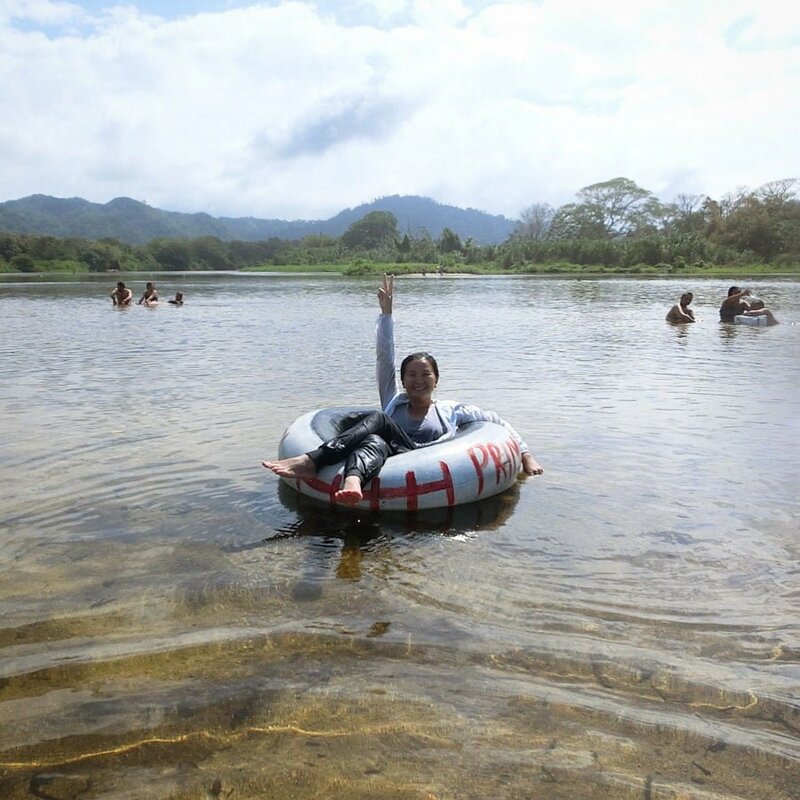 What I like about Habla Ya is that you have the opportunity to travel Panama as you learn – with 3 schools in 3 different parts of Panama – Bocas del Toro, Boquete and Panama City that give your quite different experiences. I’ll be visiting all 3 schools and trying out different accommodations while I’m at it – staying at the school, doing a homestay and living in a hostel. Stay tuned to my facebook and instagram to find out how my Spanish studies are going, as well as my adventures in Panama! Or check out Habla Ya on social media as well as I’ll be doing a little work for them on the side. Look out for my post at the end of my month in Panama where You’ll find my review of my languge studies with Habla Ya and whether I’m any sort of fluent by then! Read more about my experience learning Spanish with Habla Ya. My Spanish lessons and accommodation in Panama were sponsored by Habla Ya. Check them out if you plan to learn Spanish in your travels around Latin America. It’ll probably be easiest for you to email them directly and ask actually, they are pretty responsive! I collaborated with them through a posting that they left on another website. They’re running a contest on IG now sponsoring flights and lessons if I’m not mistaken, do check it out! Hi Jaclynn! Nice article! Spanish is my mother tongue so I won’t take classes :) but I agree.. South America is a great destination for learning spanish.. I found a lot of spanish students also in Guatemala, it’s a nice country with friendly people, good prices and a relaxed atmosphere.